Leading relief, development and advocacy organization World Vision is partnering with 400 of The Beer Store location's coin box programs. Just in time for the last long weekend of the summer you can donate at your fingertips. When you check out at participating Beer Store locations you have the opportunity to get involved and add your dollar and 'cents' to the Horn of Africarelief coin boxes. With so much variety to choose from, The Beer Store has the perfect cause for you. The coin box program runs from September 01 to September 30. The Government of Canada is matching all donations made to World Vision Canada and other registered Canadian charities for the Horn of Africa until September 16, 2011, effectively doubling the life-saving value of any donation. Food and nutritional support for malnourished children. Distributing non-food supplies, such as mosquito nets, sanitation equipment and cooking utensils to thousands of Somali refugees in camps in Kenya and southern Somalia. Efforts in northern Kenya, southern Ethiopia and in the Puntland and Somaliland regions of northern Somalia, where there has been no significant rainfall for the past two years. 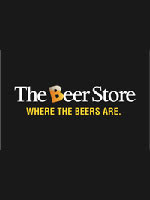 The Beer Store was established in 1927 and takes corporate responsibility seriously. They make sure that every beer they sell is a responsible sale - whether it's through their "We ID 25" program or refusing to sell to intoxicated customers. In 2007 alone, they refused service to 111,000 individuals at their retail locations. World Vision is grateful for the generosity that Canadians have shown to children and families who are in desperate need. Visit The Beer Store to donate. Please drink responsibly and do not drink and drive.